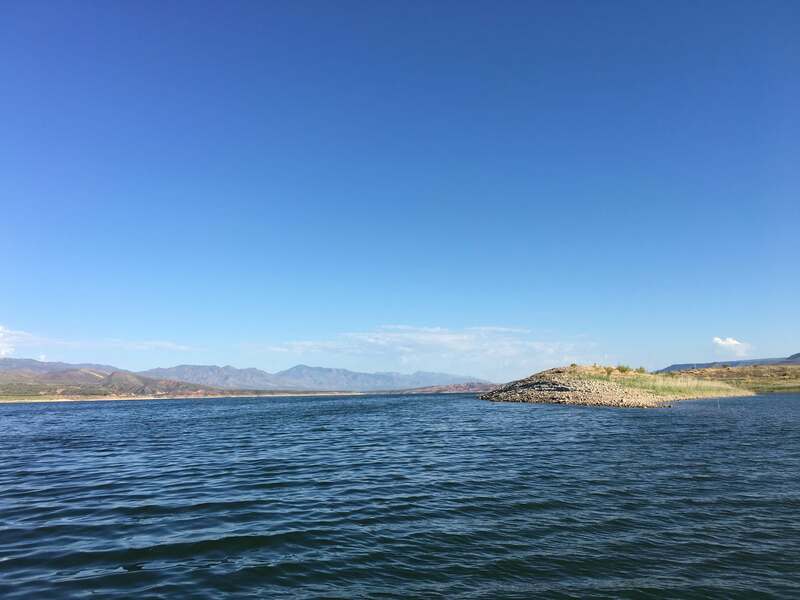 Theodore Roosevelt Lake is the start of the salt river chain of lakes, formed by the Theodore Roosevelt Dam. It is Arizona’s largest lake. Located roughly 80 miles northeast of Phoenix Arizona. 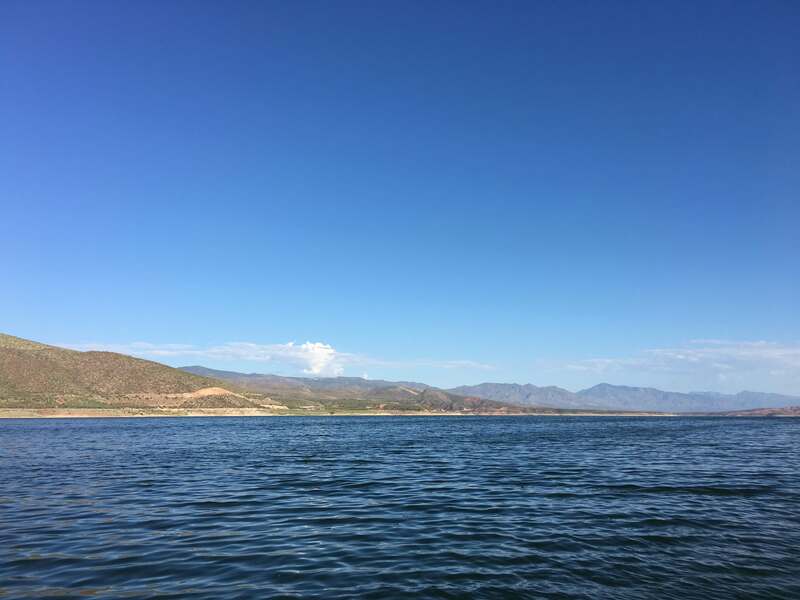 Roosevelt is the largest lake or reservoir located entirely within the state of Arizona. 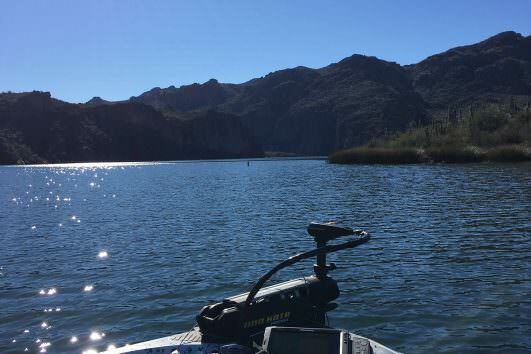 Roosevelt Lake is also the oldest of the six reservoirs constructed and operated by the Salt River Project. 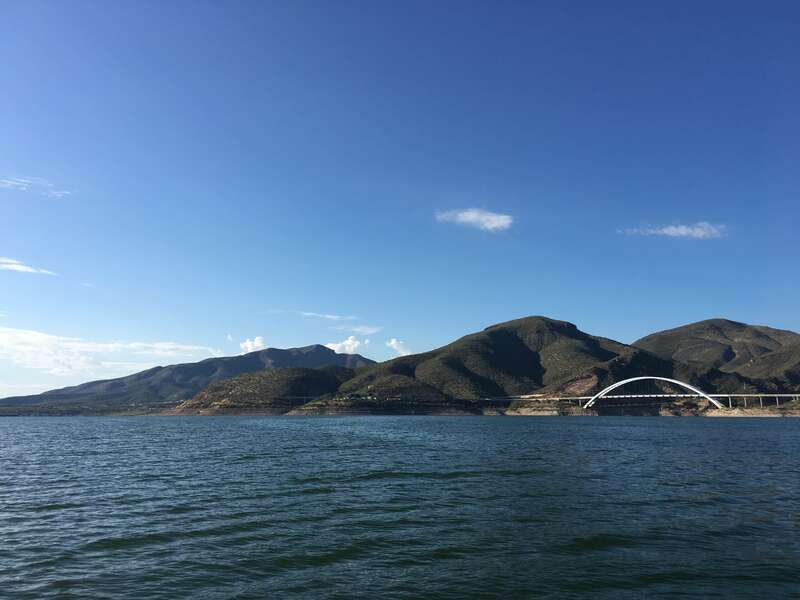 Theodore Roosevelt Lake (Rosie) has hosted major professional fishing tournaments from FLW Outdoors, Everstart FLW Outdoors events, and Bass Opens. Both the lake and dam were named after 26th United States President Theodore Roosevelt who dedicated the dam himself in 1911. 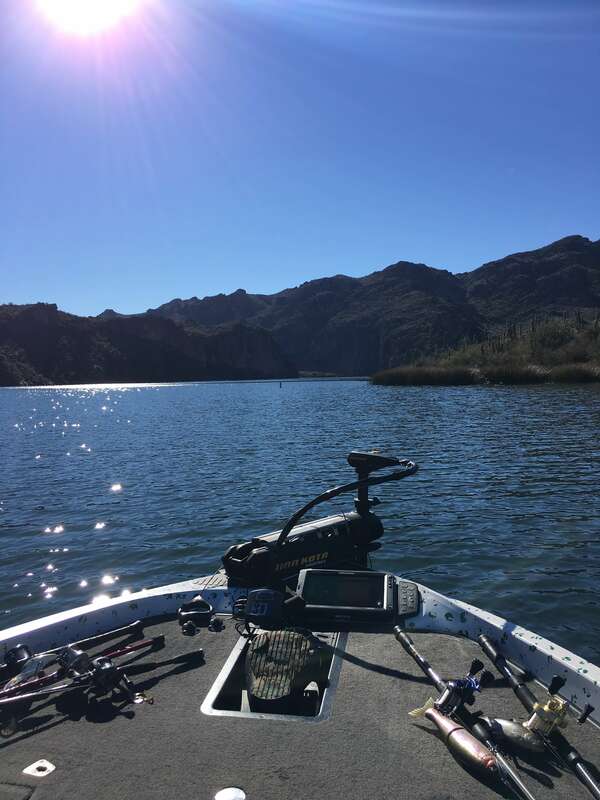 The lake is home to a variety of game fish like largemouth bass and smallmouth bass, crappie, carp, sunfish, flathead and channel catfish. DEPARTURE TIME Meet at Windy Hill Boat Ramp at safe light. RETURN TIME Between 2:30pm and 3:00pm. 24 hour cancellation notice prior to guide trip, otherwise $100 fee will occur. No children under 13. Children 13-15 must be accompanied by an adult 18 or older.